Nepal is rich in religious and cultural legacy. It is also called as the house of Gods & Goddesses. Many national and international tourists find their way to some of the major spiritual sites of Nepal. Pashupatinath Temple is the most pristine Hindu temple in Nepal. This temple doesn’t need an additional introduction for those people following the Hindu religion. People come here to worship ‘Lord Shiva’ from diverse part of the globe. This temple lies in the bank of ‘Bagmati’ River. Only Hindu religion people can enter in premises of the temple while others are not allowed there and they can only observe from banks of the bagmati temple. This temple is also listed in ‘UNESCO world heritage site’. It is situated in 5 km north of Kathmandu valley and designed in pagoda style. Manakamana temple is another popular Hindu temple in Nepal. It is situated in ‘Gorkha’ district of Nepal. People come here to fulfill their wishes since the 17th century. Manamkamana also has origin “Man” means heart (soul) and “Kamana” means wish so it is called manakamana. It is situated 106 km away from ‘Kathmandu’ district. This temple has its own mystery. It is believed that it was made when the farmer accidentally hit the stone and blood & milk came out of it, later it was declared as the recreation of a Goddess and this huge temple was made there and in present as manakamana. Mostly Hindu religion people go for worship but now people of other religions are also going there. 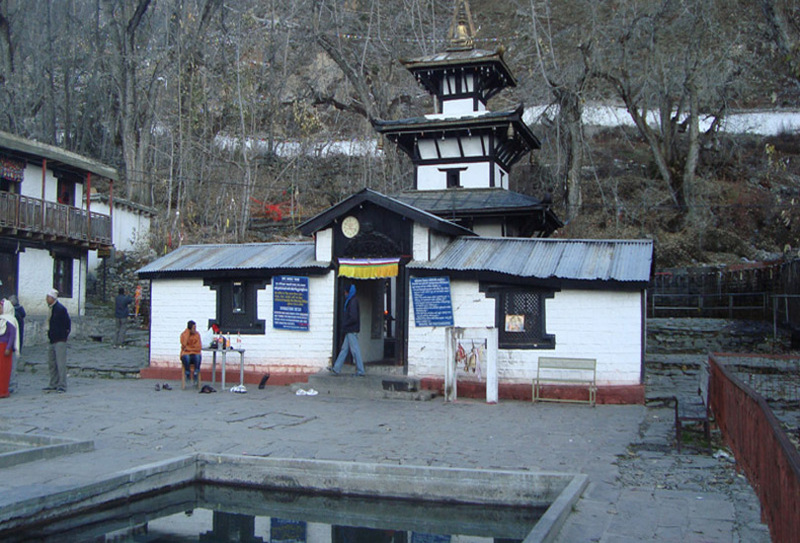 Dantakali temple is also one of the best famous temples in Nepal. Old people told that it was established when a tooth of Goddess ‘Sati Devi’ fell here when Lord Shiva was carrying her dead body roaming here and there. 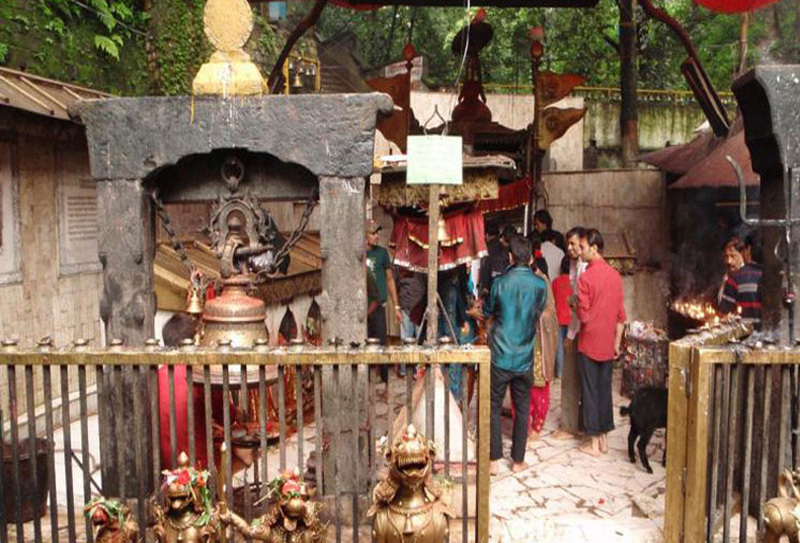 “Dant” means teeth and “kali” is the form of sati, so it is called ‘Dantakali’ temple. 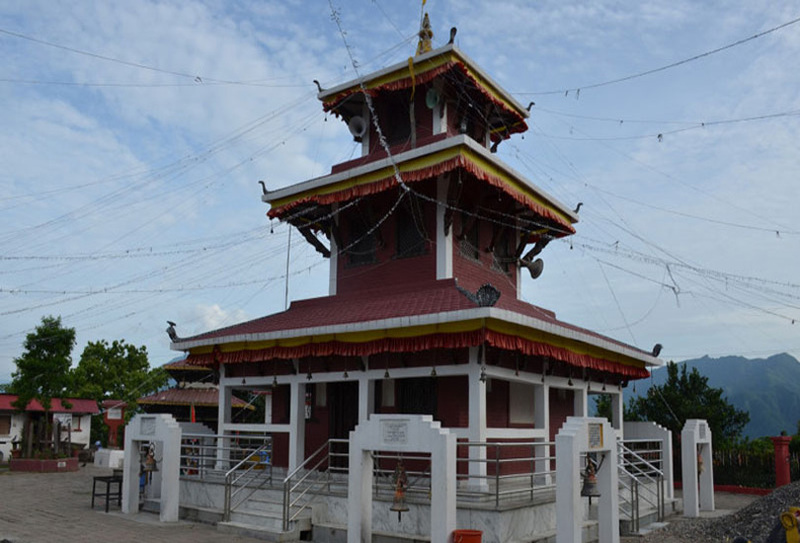 This temple located in the middle hill chowk of Vijaypur in Dharan. 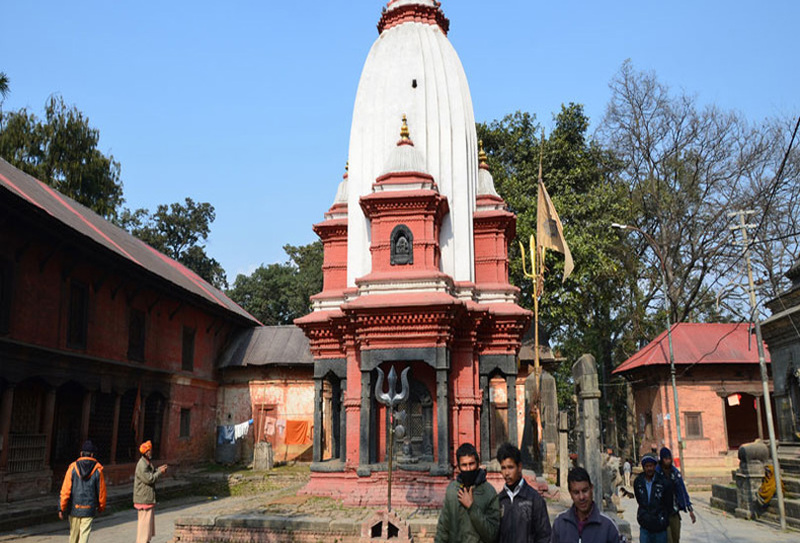 ChanguNarayan temple is another popular Hindu temple in Nepal. 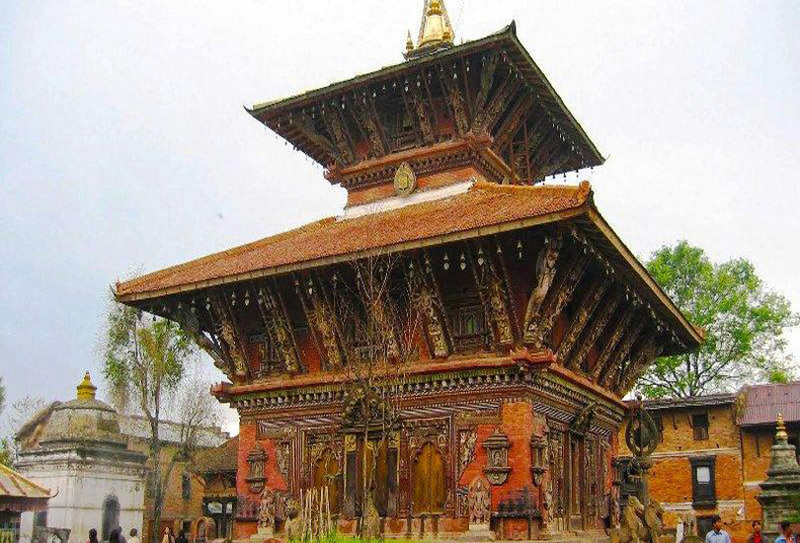 The architecture of the temple is made in the golden medieval time of Nepal history. This temple was built in ‘Malla’ period. This temple is also listed in ‘UNESCO world heritage site’. It is the oldest pagoda style Hindu temple of Lord Vishnu in Nepal. It is located about 8 miles east of ‘Kathmandu’ district in Bhaktapur. Travelers from different country come here to explore this beautiful temple. It also has some mystery against its construction but nobody has the exact truth. Many people gather in festivals, culture and cultural activities which are held at this temple. 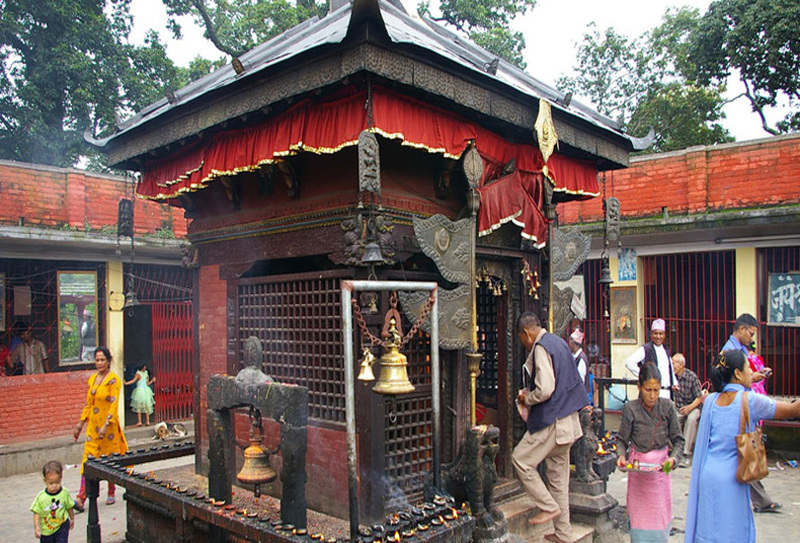 Dakshinkali temple is situated about 13 -14 miles from Kathmandu valley. It is said that Dakshinkali is the temple of ‘kali goodness’ and local people said that dakshinkali temple came into existence after goodness kali appears in the dream of ‘Malla’ king. It takes 45 min from Kathmandu valley to go to dakshinkali and the road is spiral, so it is very difficult to go there. 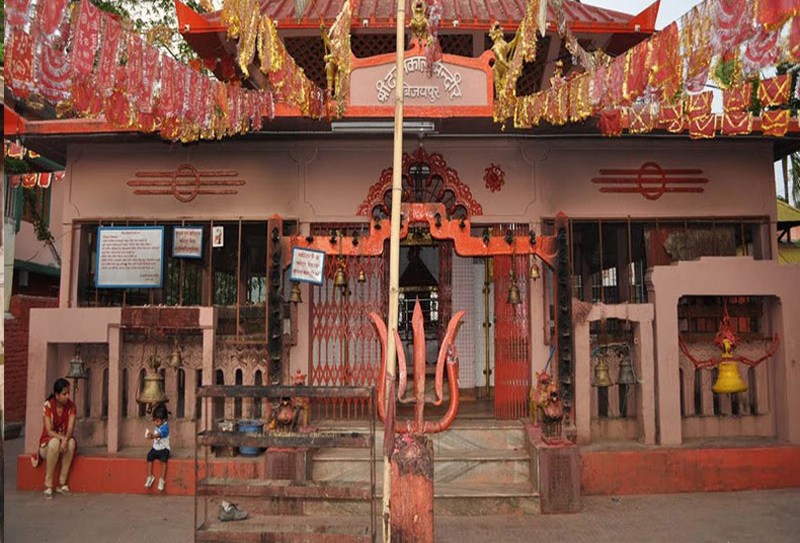 The dakshinkali temple is very significant for those who need the blessing. It is believed that blessing of ‘goodness kali’ do their desires come true. Thus, most of the people go there to complete their wishes. This temple is renowned as the place of peace & power. It is located about 10 km far from the Kathmandu city. This temple lies at the base of ‘Shivapuri hill’. It is another famous temple of Hindu people. Only Hindu religion people can touch the feet of Lord ‘Vishnu’ lying on the snake. It is believed that the sculpture is founded by the farmer who was cultivating the field. Many Hindu people go there to see this splendid temple. 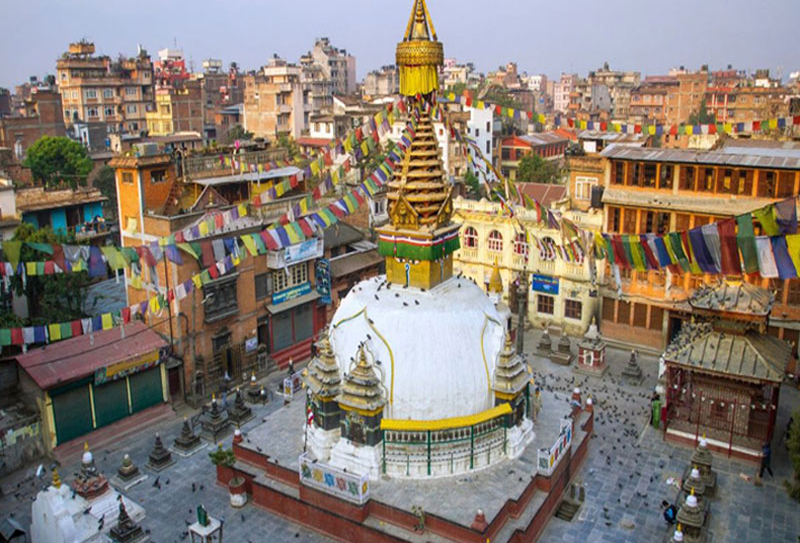 Swayambhunath Stupa is both Hindu & Buddhist temple in Nepal. Its extravagant white vault & radiant brilliant tower are noticeable from all sides of the Kathmandu valley. There, chronicled records found on a stone drawing that confirms the Stupa was at that point a vital ‘Buddhist’ journey goal by the 5th century AD. It’s birthplaces, in any case, time to a significantly prior era, well before the landing of Buddhism into the valley. The 15th century ‘Swayambhu Purana’ recounted a supernatural lotus which planted by a past Buddha and it bloomed from the lake that once secured Kathmandu valley. It is one of the most splendid temples in Nepal. 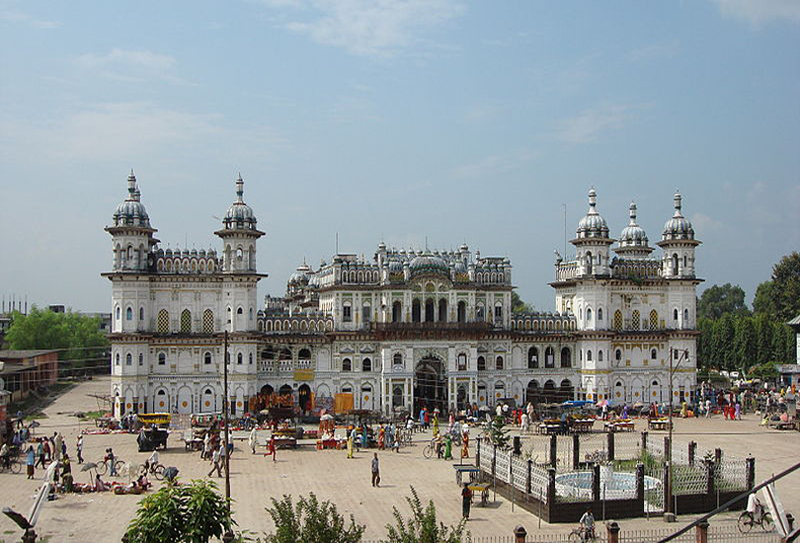 The Ram Janaki Temple in Janakpur (Nepal) is situated at the basis of Goddess Sita (Wife of Lord Rama). It is said that it is related to the considerable epic of the “Ramayana” and the range had a place with the domains of King ‘Janak’. The Ram Janaki Temple is the most heavenly places for Hindu people. Various remnants of the 11th and 12th Century AD can be found here. The religious importance of this temple accommodates it stable upkeep and support. This temple is a religious site and can be contrasted with diverse comparative locales like Lumbini World Heritage Site and Pashupati Monument Zone of Kathmandu Valley World Heritage Site etc. 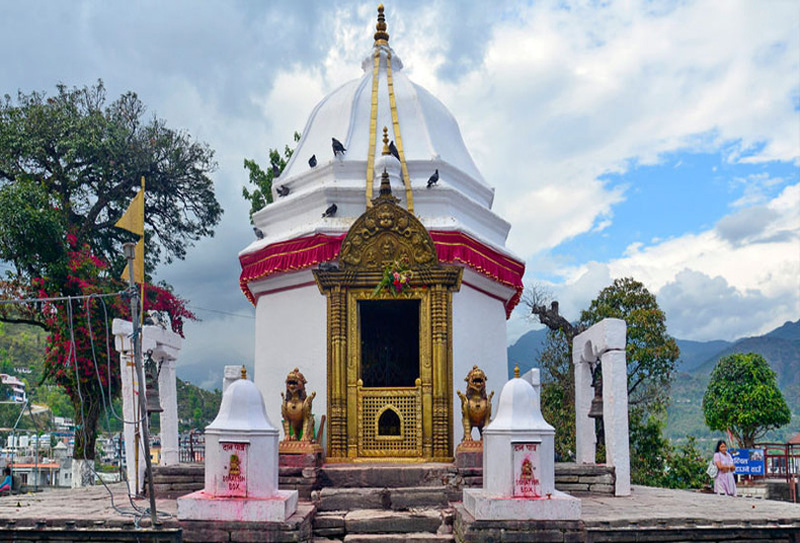 Pokhara in Nepal is a famous goal which is loaded with a lot of charming sights for vacationers to research and a standout amongst the most common is the attractive Bindabasini Temple which is also known as Bindhyabasini Mandir. It is designed with white pagoda-style which is approximately 3000 feet above from the ocean level along the popular Annapurna & Machhpuchhare mountain ranges. It lies close to the bustling Old market of Pokhara. 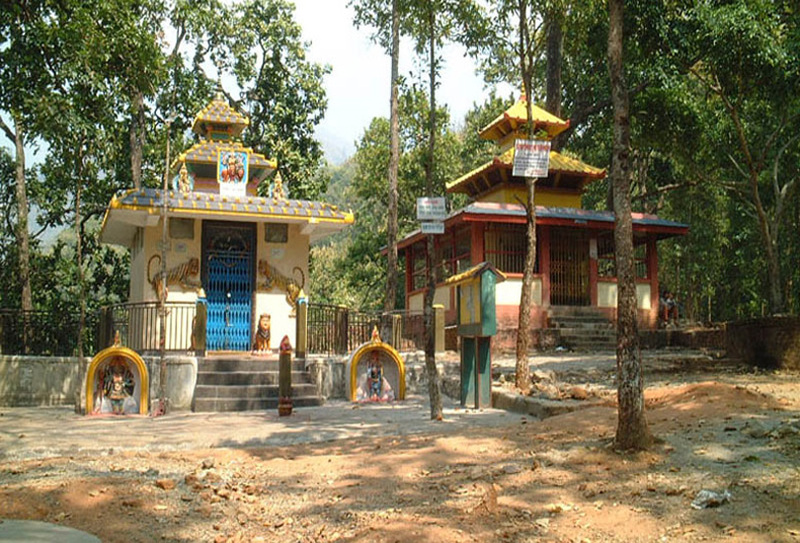 Baglung Kalika temple is the famous place in baglung, Nepal. Several tourists are going this temple and many individuals are worshiping this temple. 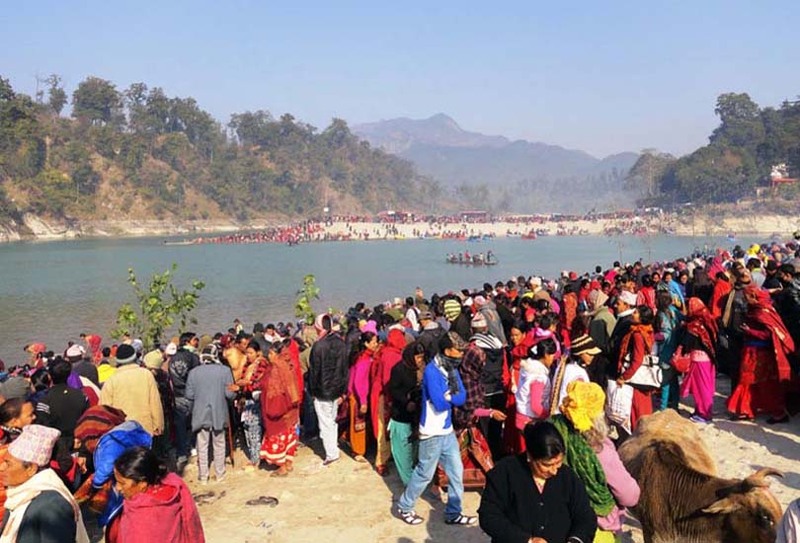 All of the local people believe that the Baglung Kalika is great of Nepal. Baglung and adjoining zones are wonderful places for the Nepali music. The zone has presented ascend to a portion of the more noticeable names in people music. 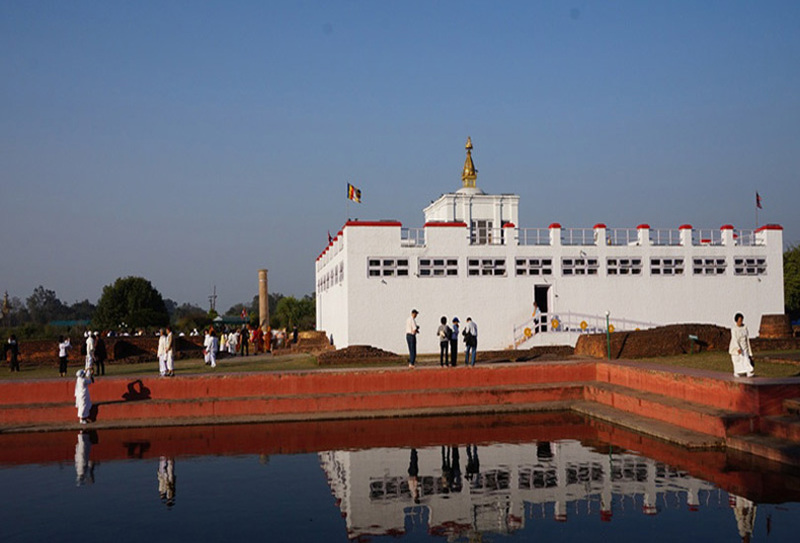 The most significant sanctuary in Lumbini (Nepal) is the charming Maya Devi Temple named for the mother of the Lord ‘Gautama Buddha’. This is one of the 4 most sacred places in all of Buddhism. Alternate destinations are – Bodhgaya where he got illumination under the holy bodhi tree; Sarnath (north of Varanasi) where he gave his 1st sermon & lessons and Kushinigar where his physical body passed on. These consecrated Buddhist places are in India except for the sanctuary in Lumbini in Nepal that was found near to the Indian outskirt. It is located on the premises of sacred religious site “Devghat Dham”. The Maula Kalika sanctuary is a famous religious journey & traveler site. This place is arranged on the peak around a kilometer north of the East-West Highway in ‘Gaindakot’ Municipality of Nawalparasi which lies in the lap of the Narayani River in the mid-part of Nepal. It takes 2 km trek to slope upward from 3 kilometers west of Narayangarh of Chitwan Park. Devghat is a town in ‘Tanahu’ District in the Gandaki Zone of central Nepal. This town is located at the intersection of the Seti Gandaki & Krishna Gandaki waterways and is one of the holiest destinations in Hindu folklore. It lies 150 km southwest of the capital Kathmandu district. Various Hindu temple and religious sites are there which is worth to visit. 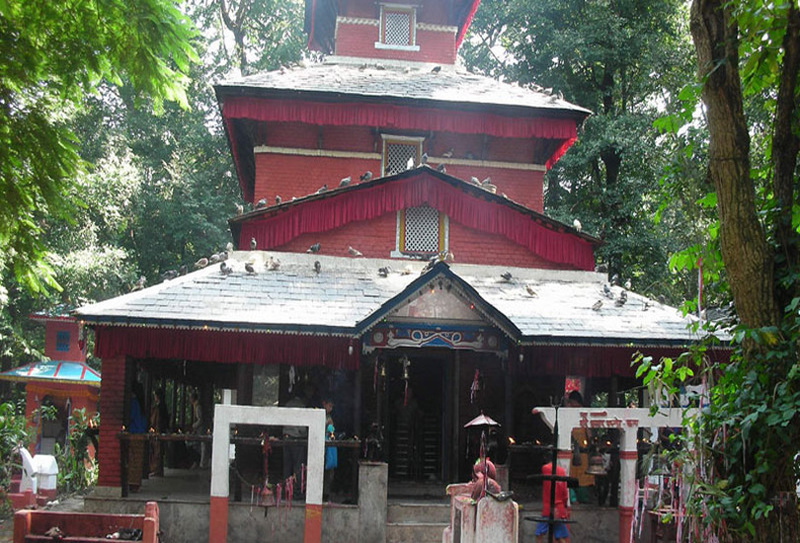 Tal Barahi Temple, on a small island in Phewa Lake, Pokhara, Nepal. Tal Barahi Temple is a famous little pagoda-style place which is related to the God ‘Tal Barahi’. The unique structure of this temple is built of stone and has a ‘thadched’ rooftop. This Temple is on a little island in Fewa Lake. Tal barahi is famous as most celebrated travel places in Nepal & numerous Hindu people come to venerate the deity. 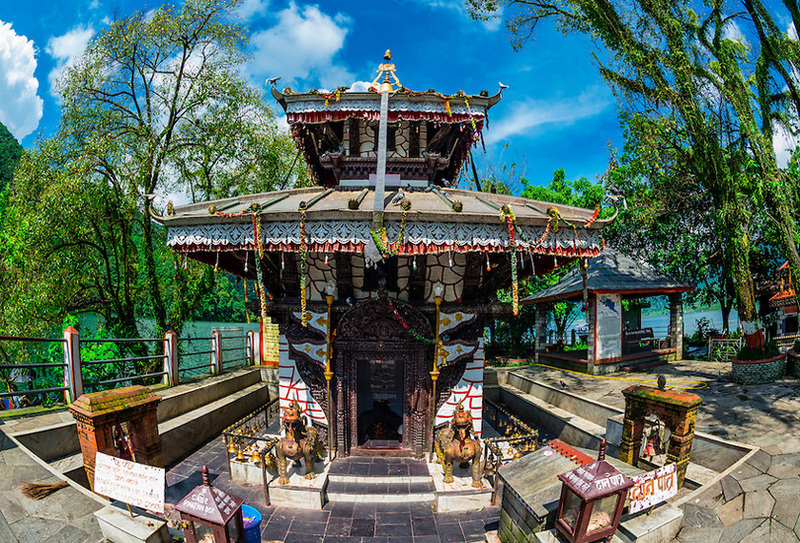 This temple is situated in the heart the ‘Pokhara’ valley at lakeside and beautiful sits on a little hill encompassed by the completely clear waters of “Fewa Lake”. This place is most popular for picnic destination and one can spend the weekend holidays. This Hindu destination is located toward the finish of the primary street of “Vijayapur Hill” at its most astonishing point in an isolated forested zone. There are 2 little sanctuaries on this site. The primary one has some lovely carvings and statues, generally speaking, that it was the minimum enthralling of the 4 fundamental sanctuaries to watch in Dharan. 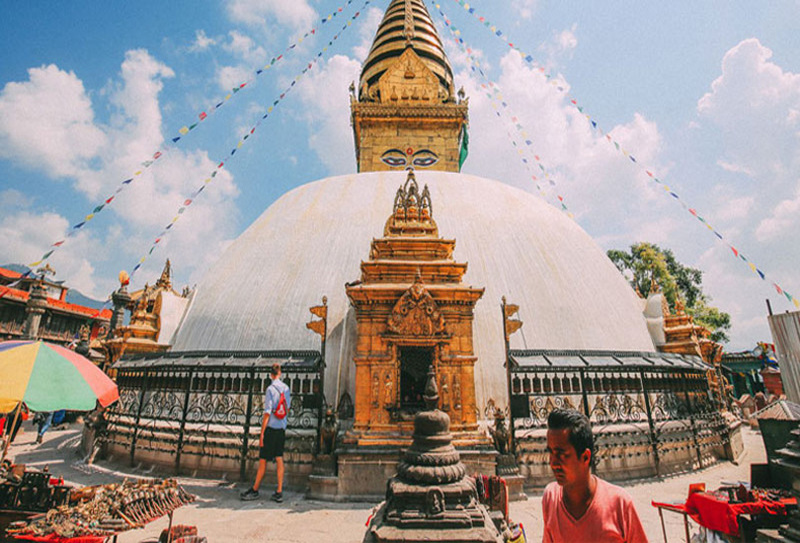 Kathesimbhu Stupa is the 17th version of the well-known Swayambhunath temple and this Stupa is one of the most famous Tibetan pilgrimage sites in Kathmandu, Nepal. 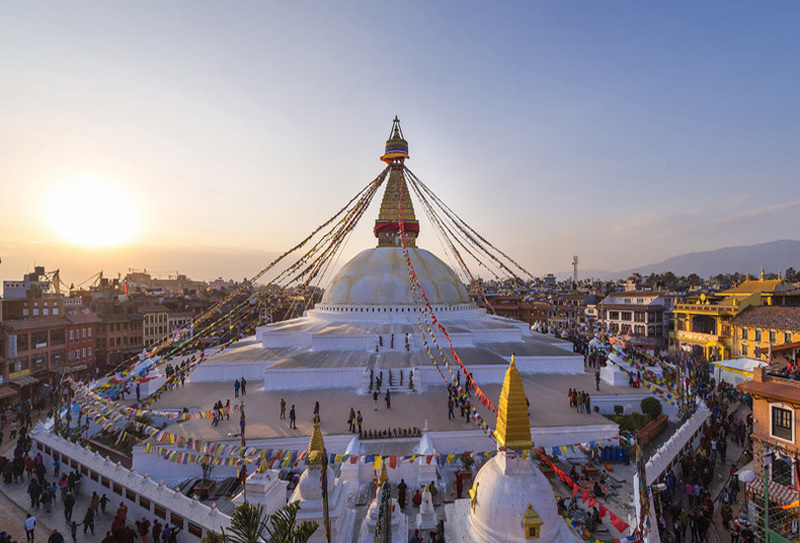 It is located between Thamel & Durbar Square and this stupa was constructed using the leftover materials from ‘Swayambhunath’ temple complex. It is set in a hidden courtyard which is surrounded by smaller stupas with engravings and statutes. Although, it is well maintained and intact and also included in ‘UNESCO World Heritage Site’. It was witnessed minor damages in the 2015 earthquake. 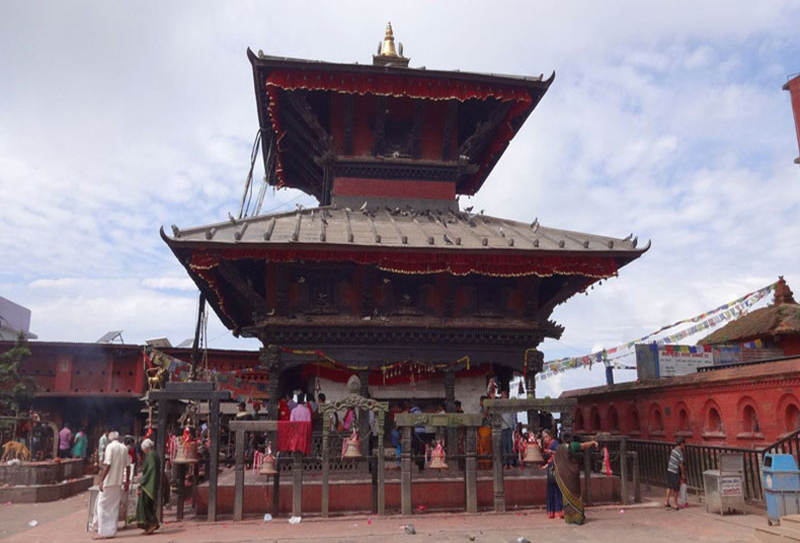 A most popular religious site of Nepal, Ashok Binayak Temple is the destination that should not be missed. In the middle of rubbles from the temples, a small golden shrine lies at the top of Maru Tole. This place of pilgrimage is one of the most vital shrines in the valley. “Lord Ganesha” is one of the most loved gods among the local people of the Kathmandu and hence this holy place has thousands of visitors every single day from all over the world. This temple is located at the height of 3,710 m from the foot of the mountain ‘Thorong La Mountain’ in Mustang locale (Nepal). It is one of the best religious and vacationer goals of the country. It is the holy place for both Hindu and Buddhist religion. 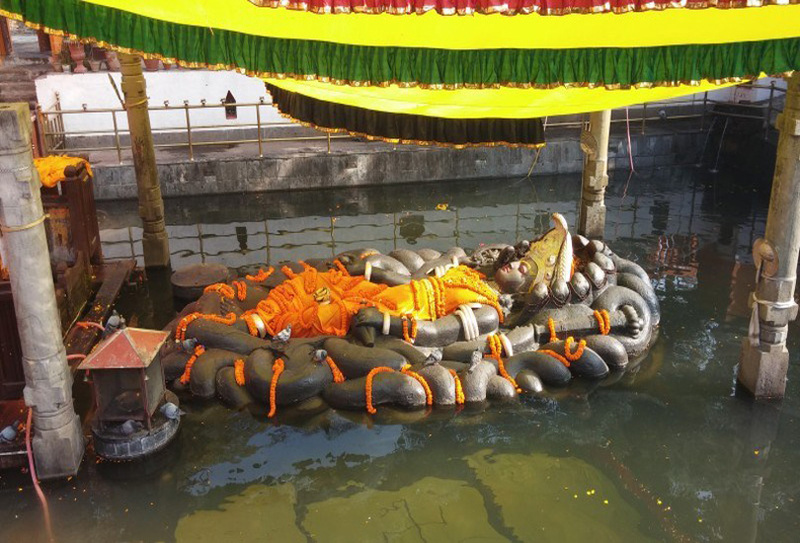 This place covered in the small area and contains a human-sized luminous statue of ‘Lord Vishnu’ known as Shri Mukti Narayana. It also has bronze pictures of Bhoodevi (the Earth-goddess), the Goddesses Saraswati and Janaki Devi (Sita), Garuda (the mount of Vishnu), Lava-Kusa (the children of Rama & Sita) and the Sapta Rishis (7 Sages made by Lord Brahma). Guheswari temple also additionally spelled Guhyeshwari or Guhjeshwari is one of the respected blessed places in Kathmandu, Nepal. This temple is related to Goddess ‘Parvati’. It is trusted that Lord Shiva meandered the world assigning the collection of Sati after she consumed herself to death. Amid this procedure, her yoni (the female sexual image) fell at this place. “Lord Pratap Malla” assembled this temple in the 17th century. The temple name starts from guhya (surrender) and ishwari (goddess). Only Hindu people are permitted to enter this temple. 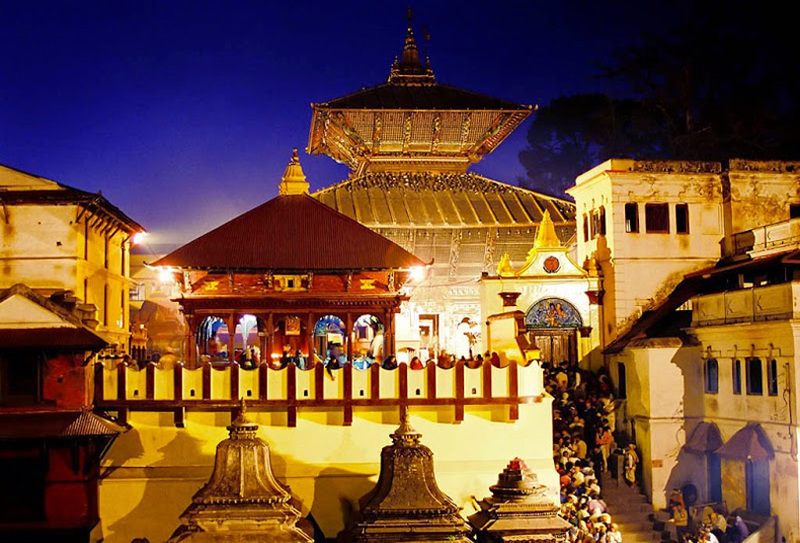 Guheswari Temple is situated near to the famous Pashupatinath temple. Due to these religious sites and popular temples in Nepal, many of places are listed in UNESCO World Heritage site. 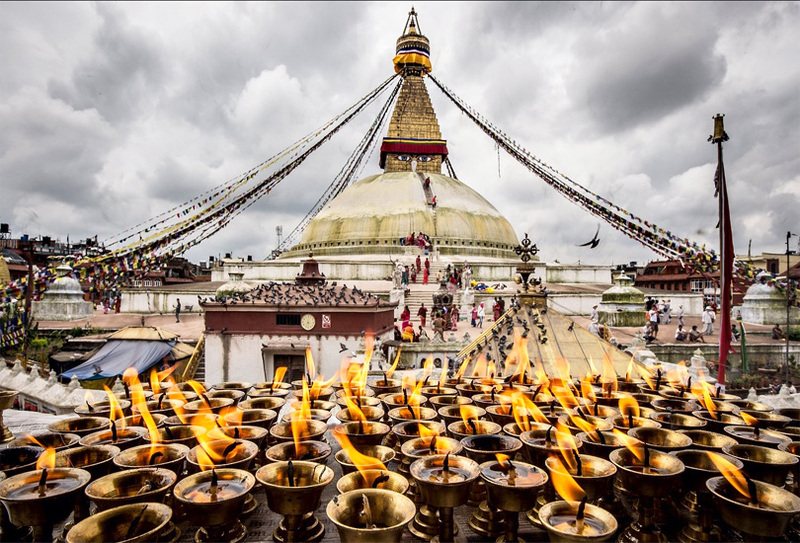 So, one can see these religious sites with Nepal tour packages.